All trainings offered by CTCN follow the Kingian - Nonviolence Leaders Manual (LaFayette & Jehnsen, 1995). 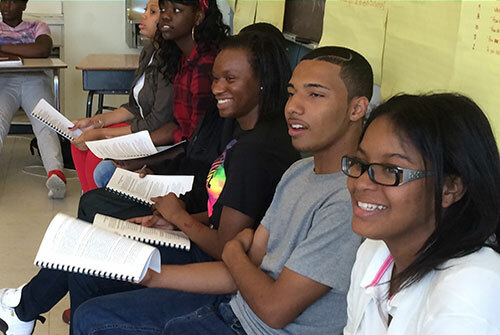 This curriculum has been taught both nationally and internationally for nearly 35 years. 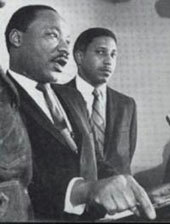 Kingian Nonviolence is a multidiscipline body of knowledge derived from the nonviolence philosophy and methodology of Dr. Martin L. King, Jr., from which individuals and communities learn how to address the issue of conflict without resorting to violence. It provides a framework for conflict reconciliation management and mediation that can be applied to all areas of conflict in daily life. Participants learn to: (a) analyze and identify different forms of conflict, (b) memorize the Six Principles and Six Steps of Nonviolence social change, (c) gain a historical perspective on significant nonviolence campaigns that changed laws in the United States, and (d) develop cooperative problem solving strategies needed to improve the community environment by decreasing tension and hostility. Often mistaken for being simply the absence or opposite of violence, nonviolence is, rather, a systematic framework of both conceptual principles and pragmatic strategies to reduce all forms of conflict and violence, and promote peace in the community. This two-day workshop teaches the Six Principles of Kingian Nonviolence, as well as basic concepts, strategies and tools of conflict reconciliation. The seminar includes reading Dr. King’s writing, viewing and discussing documentary film footage from the Civil Rights Movement, and interactive exercises and role-playing. The curriculum is also enhanced through historic and contemporary music. The teaching can be applied to a broad spectrum of individual, group, institutional and systemic conflicts. Material is tailored for adults and youth. 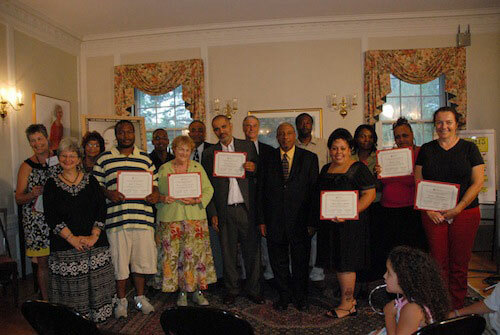 An in-depth training on Kingian Nonviolence led by qualified senior trainers, this program prepares participants to co-facilitate the Core Introduction to Kingian Nonviolence Conflict Reconciliation. A minimum of 50-hours is required to complete this training. During the training, we review the core concepts and activities of Kingian Nonviolence. Participants practice facilitating activities and receive feedback from senior trainers. In order to complete the Level One certification, individuals must successfully pass a written test demonstrating their command of the content (in some cases the exam can be given orally).